Stronghold Motorsports is the first “Off-Road Super Team”. They field a Pro-4, Pro-2, Pro-lite, and two Super Buggy’s in the Lucas Oil Off-Road Racing Series. Stronghold was looking for a website that would speak to fans, media and potential sponsors. 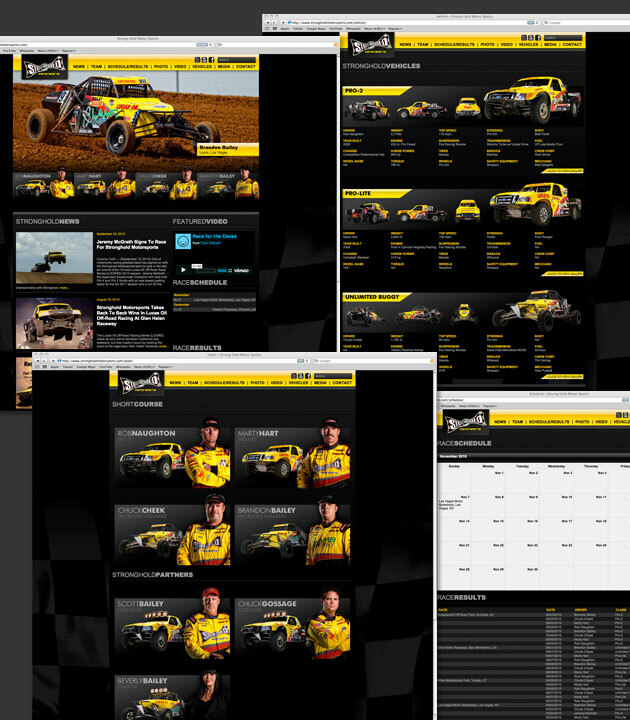 We built them a custom website that put everything you need to know about the team and off-road racing into a well organized and visually appealing website. The site also features a custom content management system (CSS) that allows for the client to handle news updates easily, including video, photo, and text.